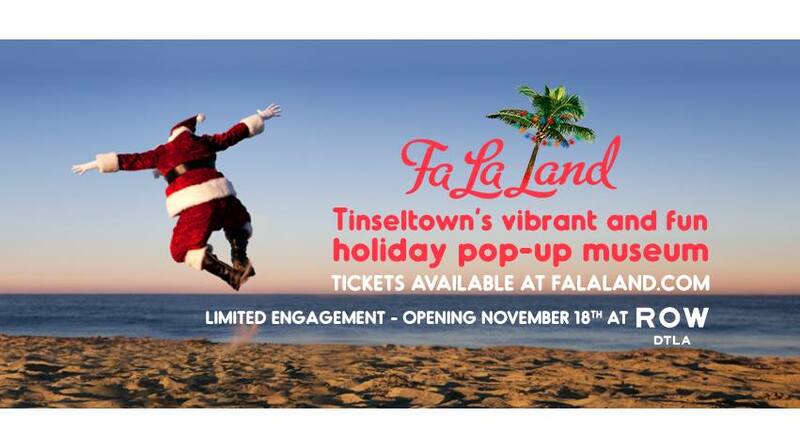 It’s that time of the year to celebrate the holiday season, which is the main purpose of Fa La Land, a pop up museum dedicated to everything that makes you sing “Fa La La.” The event, which takes place at Row DTLA, which include a wide variety of installations offering the chance to meet Santa himself. Featured activities include the Jingle Bell Toy Factory, a fluorescent “Fa La Forest,” the vibrant and sweet-tooth fulfilling Candyfornia, along with plenty more. Tuesday: 11 a.m. – 8:30 p.m.
Thursday: 11 a.m. – 8:30 p.m.
Friday: 11 a.m. – 9:30 p.m.
Saturday: 10 a.m. – 9:30 p.m.